A new exciting business has been launched in Forest Hill: Helen Wicks from the Forest Hill Society met Lucy Woodhouse, co-founder of ‘Claudi & Fin’ at the Tea Pot Café in Forest Hill. 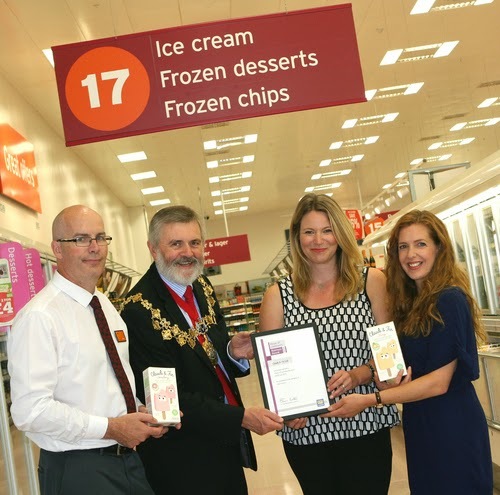 Lucy, together with her business partner Meriel Kehoe, have not only recently launched their new unique Greek style frozen yoghurt lollies but have won a competition to supply the lollies exclusively to Sainsbury’s. Both women live in SE23. Helen: Congratulations on your success. It would be great to share your story... why ice lollies? Lucy: I love ice lollies...always have done. I wanted to find a healthy lolly option for my daughter and I looked around in the chill cabinets in the supermarkets and could not find a healthy ice lolly. Most of the brands I found contained huge quantities of sugar and unnatural ingredients. I also love Greek yogurt so decided to set about making my own ice lollies and experimented using natural ingredients at home. The great thing about ice lollies is that small children can hold a chunky stick, thus become independent eaters very quickly. When I gave my daughter, Claudia, her first homemade ice lolly and saw the joy on her face - I knew I was onto a winner! It then occurred to me that there is a gap in the market! Helen: How did you meet Mariel, your business partner? Lucy: We both have young children whom, you won’t be surprised to know are called Claudia and Fin! We met at a playgroup opposite Fairlawn Primary school in Honor Oak Road. We got on really well and we both wanted to find something to fit around our children, which meant working from home. Making ice lollies was a perfect solution. So one day, over egg and chips in Dulwich Park, I pitched the case to Meriel for an ice lolly business! Helen: Have you always lived in SE23? No, I am originally from Derby but moved to London for work and lived in several rented flats. 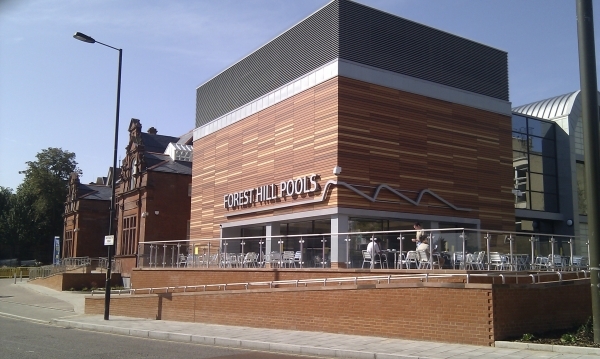 In 2003, I read an article in the Evening Standard about Forest Hill, I had never heard of Forest Hill but like the sound of it, so decided to pay a visit and as soon as I got off the train, I knew I wanted to live here. 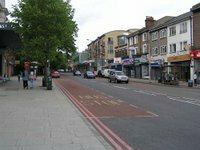 I rented near Horniman Gardens, then Tyson Road and eventually bought my first home not far from Honor Oak Park Station. Helen: Was it an easy decision to leave Morrison’s and start up your own business? Lucy: I lived above our family fruit and vegetable shop from the day I was born for seven years and am from a family of entrepreneurs so it was probably going to happen one day! My previous work in branding, marketing and manufacture certainly helped to make me feel it was possible. Support from family and friends, the flexibility around childcare and finding a great business partner in Meriel, all helped. Helen: How did you start up? First of all, in my kitchen, we experimented with lots of ingredients and tested the finished products on various children and also gave samples to play groups. We market tested the branding of our product. We sent on-line surveys to friends and friends of friends. We received over 200 responses. As a result we were able to improve the images used on our packaging. We were told that the characters looked sad so we made the eyebrows look more appealing! The British Library in particular was an excellent source of information and free reports. Helen: Did you receive any professional support? Lucy: Yes, one company that was particularly useful were the Enterprise Nation, an organisation that helps ‘start ups’. The advice we received there from Emma Jones was incredible and the website is full of really useful tips, well worth the small fee of £20 per year membership. Tony Goldsmith from South East Enterprises was also brilliant, he helped us with our business planning. Helen: Wow! An exclusive contract with Sainsbury’s! What a fantastic achievement, how did that come about? Lucy: I just saw the competition on the ‘Start up Britain’ website, now ‘Centre for Entrepreneurs’ and we decided to enter and we were one of four companies to be offered a contract. It was very competitive, with over 400 food start-ups competing. Ten were shortlisted and we all had to pitch our product to a panel, in Dragon's Den style. We launched our Claudi & Fin Greek Style Frozen yoghurt lollies in multipacks of 4, in Sainsbury’s in May 2014. Helen: Are you still making the lollies in your kitchen? Lucy: Sainsbury’s have worked with us to find a manufacturer who complies with the strict standards required. We did have to compromise however and the product is unfortunately not organic but still contains nearly 20% fruit, and vitamin D.
Helen: Is Forest Hill Sainsbury’s stocking the lollies? Lucy: Unfortunately no, but the lollies are on sale in larger Sainsbury’s, including Sydenham and Dog Kennel Hill branches.